Potter began playing rugby at the University of New Mexico after playing basketball in high school and was selected to the Women’s Junior All-Americans six months later. She continued through the High Performance Development Pathway until making her Women’s Eagles debut in 2007. 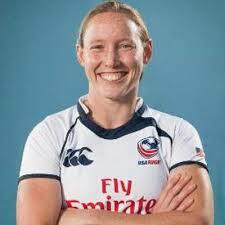 Potter won bronze with the Women’s Eagles Sevens at IRB Rugby World Cup Sevens 2013 in Moscow, Russia, and is one of the team’s captains on the IRB Women’s Sevens World Series circuit.